Today’s trend is SUMMER SHOES! So I have to be honest with all of you, I actually took these pictures months ago and decided that I needed to show off this look. 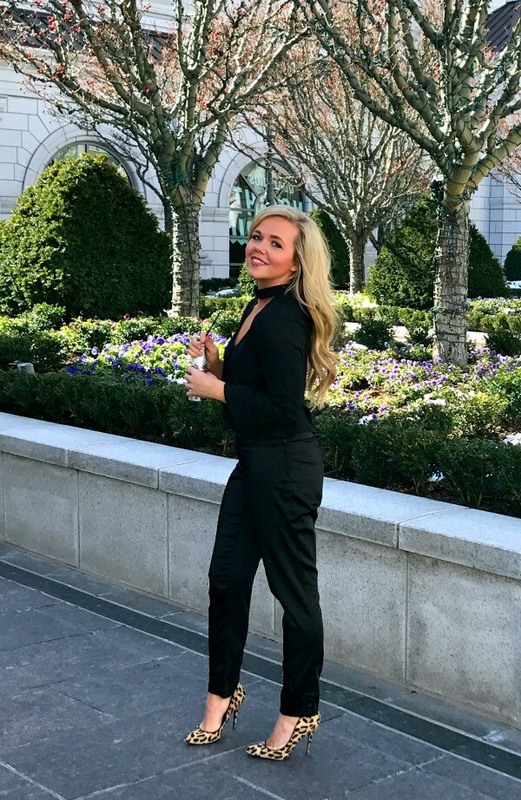 I absolutely love these shoes because they can dress up any outfit and can make something as simple as an all black outfit completely pop! Although they are not a typical summer shoe, I think they are a great transition piece between season. Next week’s trend is SUMMER PRINTS & PATTERNS! I am obsessing over so many prints this summer! Whether it is palm or florals or even stripes, you will see me in them. Hopefully I will have something fun to show off next week! Bloggers : All bloggers will be able to submit their post links via the inlinkz widget below every Tuesday at 12:00am CST with their take on our trend of the week. This will allow bloggers to show off their personal style, find new followers and meet some great fashionistas! You will also have the chance to be featured on our blogs the following Tuesday (if you make sure to link back to Laura and my blog) ! So grab the button and link up. 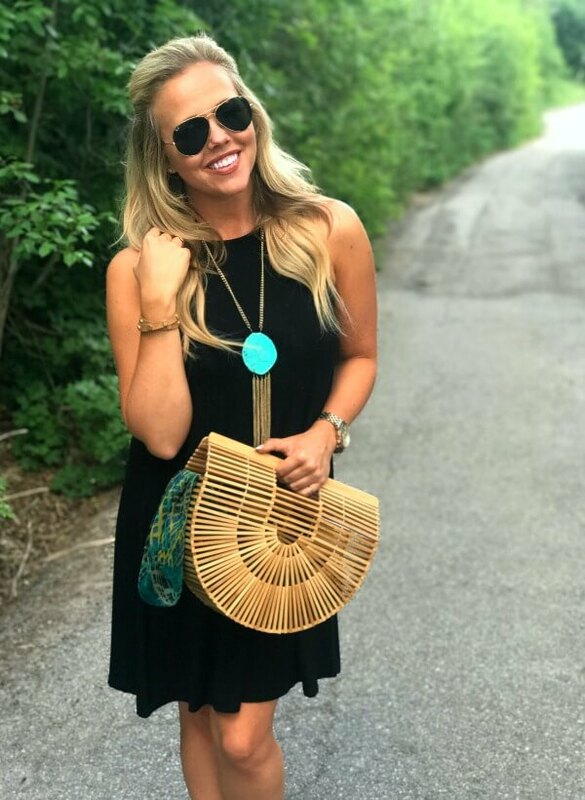 = ) For all bloggers we simply ask that you please follow your hosts – Walking in Memphis in High Heels, The Fashion Canvas, Visions of Vogue and our guest host Nashville Wifestyles and provide a link to the Trend Spin Link-up in your post or add the button below to your blog. Don’t forget to stop by everyone’s blogs to see how they wore the trend today. Leave a comment on my blog, and also on at least 5 other blogs! 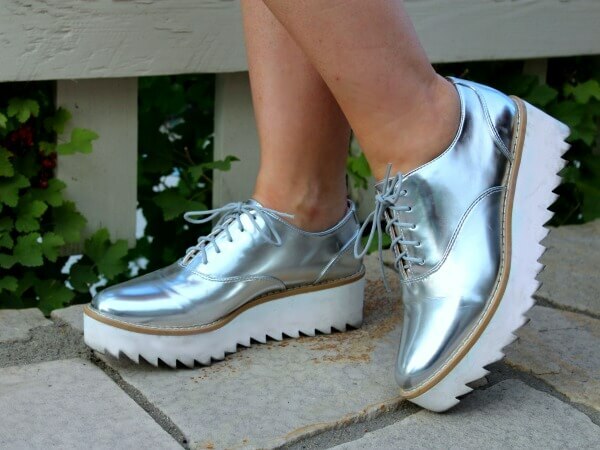 This week’s featured bloggers are Fleurani and Style Blueprint! Add your link below to be featured next week! And here’s the link up! Today’s trend is SUMMER DRESSES! Summer is almost half way over (shed tear here), but there is still plenty of time left to wear my summer wardrobe, so I will be living in dresses the next two months until the temperatures start to drop. I actually have this jersey dress in two colors (black and red/white stripe, which you can see here). I seriously love these dresses because they can easily be dressed up or down. I wore it with flats in these pics, but paired it with some strappy sandals for a casual park wedding. What is your go-to lightweight summer dress?? Tell me, because I need more! Next week’s trend is SUMMER FOOTWEAR! The possibilities next week are endless, so get creative because I want some new shoe inspiration!! Bloggers : All bloggers will be able to submit their post links via the inlinkz widget below every Tuesday at 12:00am CST with their take on our trend of the week. This will allow bloggers to show off their personal style, find new followers and meet some great fashionistas! You will also have the chance to be featured on our blogs the following Tuesday (if you make sure to link back to Laura and my blog) ! So grab the button and link up. = ) For all bloggers we simply ask that you please follow your hosts – Walking in Memphis in High Heels, The Fashion Canvas, Visions of Vogue and our guest host Life Lutzurios and provide a link to the Trend Spin Link-up in your post or add the button below to your blog. Don’t forget to stop by everyone’s blogs to see how they wore the trend today. Leave a comment on my blog, and also on at least 5 other blogs! 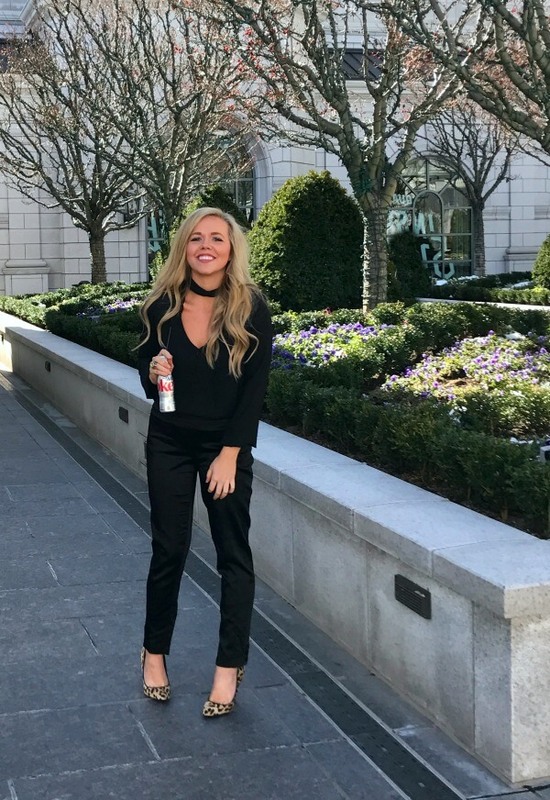 This week’s featured bloggers are Girl Meets Bow and Northwest Blonde! Add your link below to be featured next week! So this week definitely had me feeling my inner-90’s Cher Horowitz! haha. I was taking it back old school with a bodysuit, levi skirt and platform sneaks. Who else is rocking a little 90’s in their wardrobe lately? Next week’s trend is SUMMER DRESSES! With the current heat wave in Salt Lake, I have been living in summer dresses. They are so light weight and airy, they are the perfect thing to throw on for work and go. Bloggers : All bloggers will be able to submit their post links via the inlinkz widget below every Tuesday at 12:00am CST with their take on our trend of the week. This will allow bloggers to show off their personal style, find new followers and meet some great fashionistas! You will also have the chance to be featured on our blogs the following Tuesday (if you make sure to link back to Laura and my blog) ! So grab the button and link up. 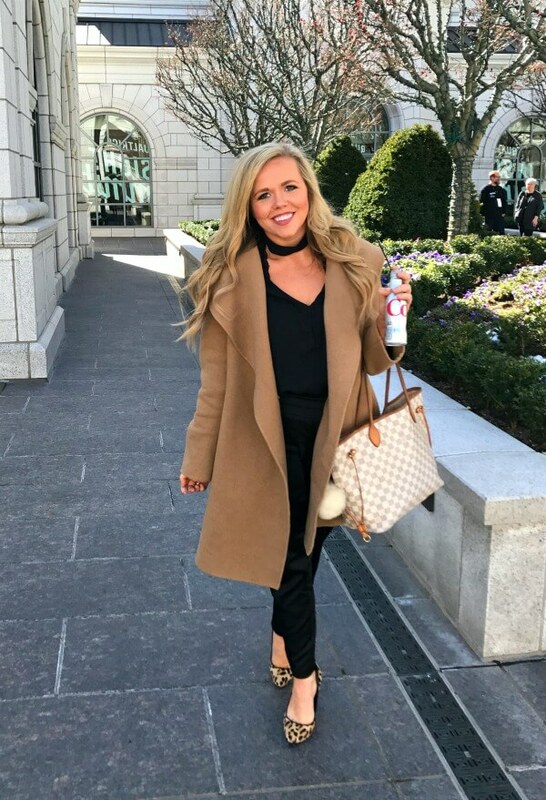 = ) For all bloggers we simply ask that you please follow your hosts – Walking in Memphis in High Heels, The Fashion Canvas, Visions of Vogue and our guest host Sylvie in the Sky and provide a link to the Trend Spin Link-up in your post or add the button below to your blog. Don’t forget to stop by everyone’s blogs to see how they wore the trend today. Leave a comment on my blog, and also on at least 5 other blogs! 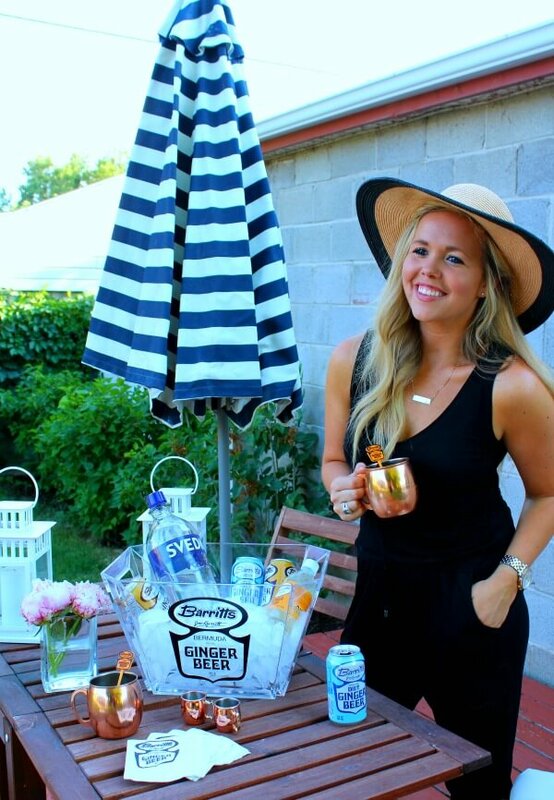 This week’s featured bloggers are Jana Style and Peaches in a Pod! Add your link below to be featured next week! Summer is by far my favorite season! I can’t think of anything better than having dinner or cocktails out on the back porch on a warm summer night, listening to music and maybe even catching up with friends. It’s even better when you can make your happy hour a little more special by whipping up some fun and refreshing cocktails for the evening. 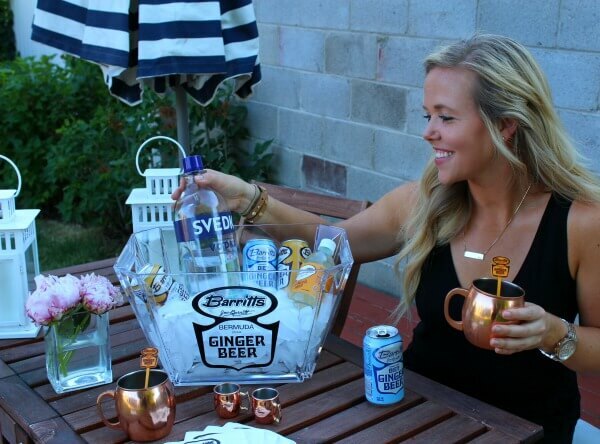 My go-to recipe has always been a Moscow Mule (especially after I got these darling copper mugs and shot glasses last year). 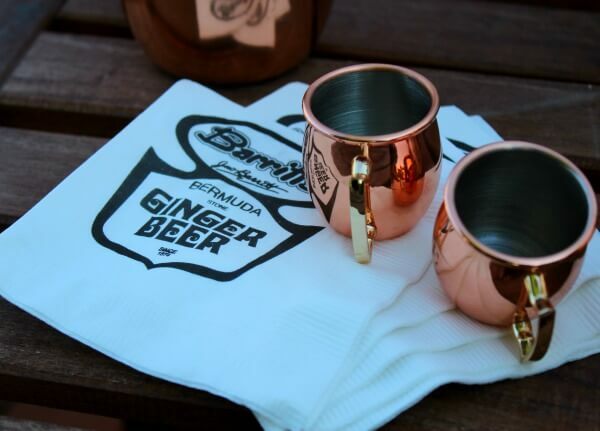 The main make-or-break item in a Moscow Mule has to be the ginger beer! The sharp ginger taste that comes out in your drink makes all the difference in the world, so in my opinion it is always better to go quality on this treat. 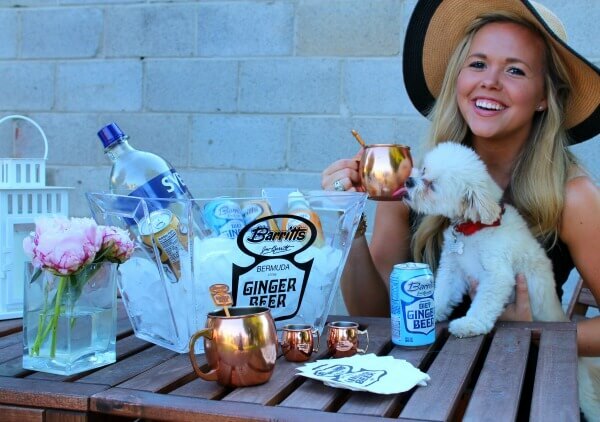 After I recently tried Barritt’s Ginger Beer (you can also see my pup trying to get a lick in haha), I knew that I was never going back! 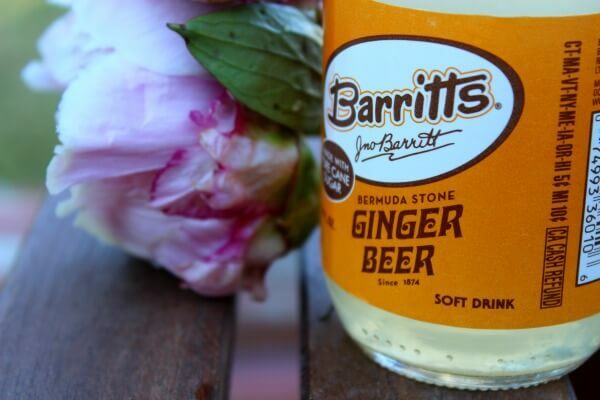 The pop of this ginger beer made the drink so fresh and tangy. Then you top that off with a splash of vodka, a touch of lime and some mint from the garden and you have a winning combination. 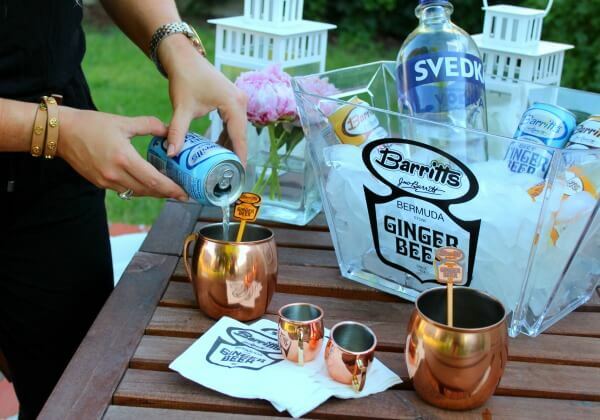 For a bunch of great “Mule” recipes (everything from classic to Kentucky), click on this link. Try out some of these recipes the next time you have friends over or are even just barbecuing in the backyard! Hope you all have a wonderful Monday and everyone have a happy and safe day! 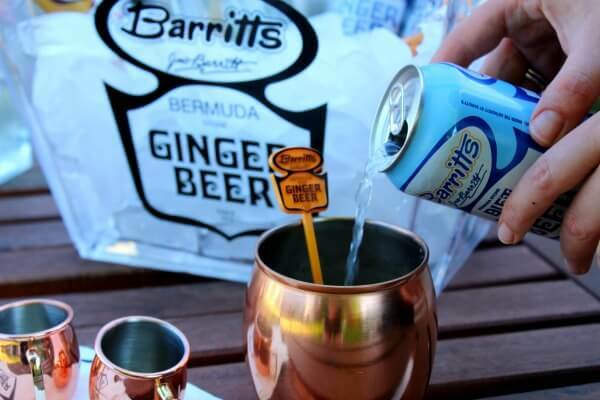 This post was brought to you by Barritt’s Ginger Beer. All thoughts and opinions are my own.